A lovely missing her picture to let your love know your heart. Send this picture and say to her that "The Worst Part About Missing You is that I Can’t Stop My Mind from Thinking about the Things We Would Do If We Were Together Right Now. 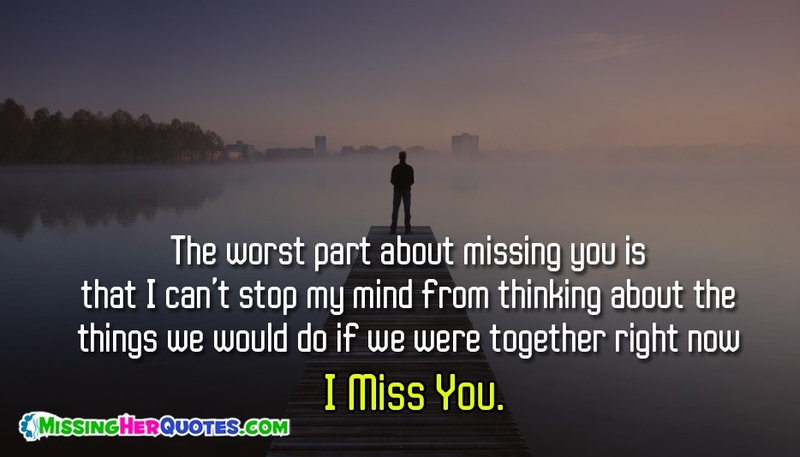 I Miss You". This missing her message is backed by a beautiful background image of a lonely guy thinking of his love.